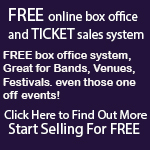 Norfolk and Norwich Music Venues - Norfolk Gigs - Norfolk Gig Guide - Norwich Gigs. Page 1. Add Your Norfolk and Norwich Venue Here! Tel: 01603 945347 Welcome to the Reindeer Pub. We love beer, a good time and some of the dangdest live music this side of the Norwich inner ring road!! Tel: 01493 780899/01502 512457 The East Coasts Newest Rock n Roll Club. 155 Nelson Road Central, Great Yarmouth. 111, Unthank Road, Norwich, NR1 2PE. Tel: 01603 622910 On ground level you walk in to the bar, it has the feel of a community pub in the heart of the city centre; you will find a warm welcome, along With The long bar, Wurlitzer style replica jukebox.